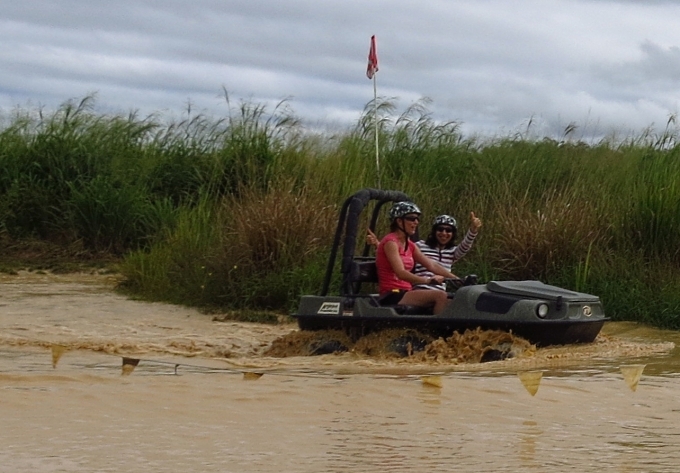 Well it is the ‘wet season’ here in the tropics, so there’s no shortage of mud to play in. 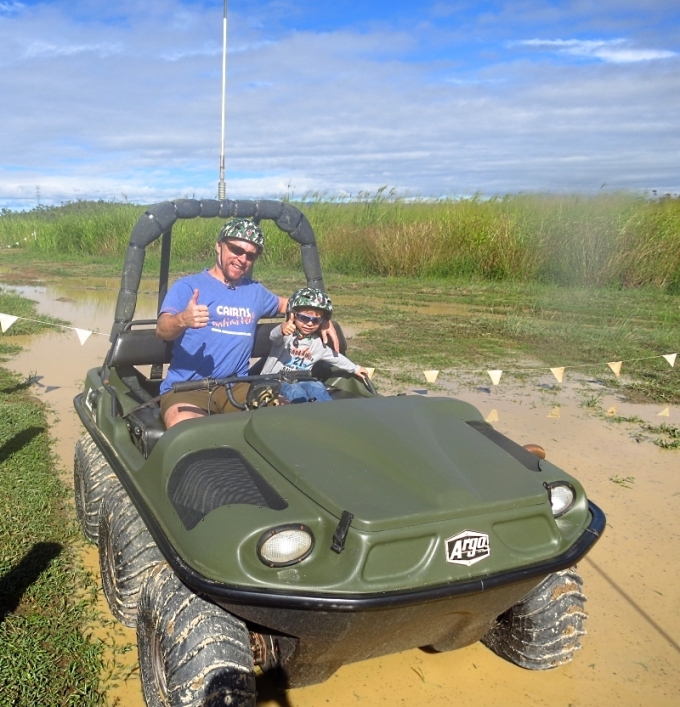 Just north of Cairns, on the Atherton Tablelands we found MUDPARK, the world’s only purpose built 6×6 Amphibious ATV obstacle course. 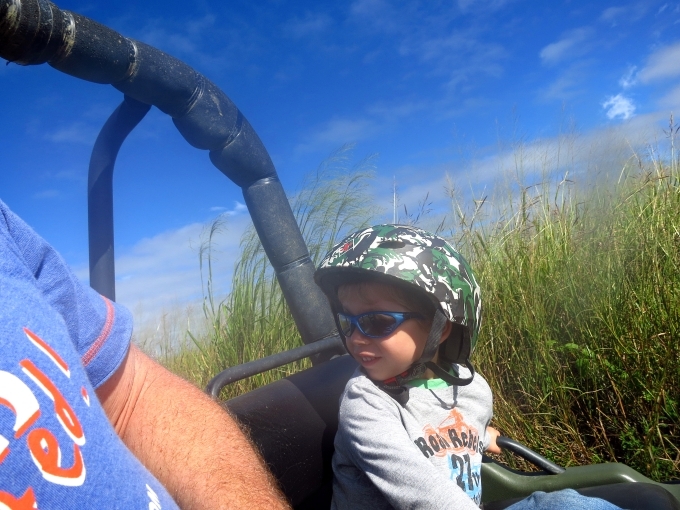 At the controls of these amphibious ATV’s 6 wheelers, we encountered Water Channels and Splash Ponds, Drift Corners and Doughnut Pads, Hills, Logs and Rock Climbs. I was blown away to find an adventurous activity that was also child friendly! This entry was posted on Sunday, April 14th, 2013 at 12:21 pm	and is filed under Adventure Activities, Family friendly activities, Tourist attractions. You can follow any responses to this entry through the RSS 2.0 feed. You can leave a response, or trackback from your own site.